Autumn is my favorite time of the year. I love the cool, crisp air and the beautiful colors of the trees. The holiday season is approaching and it heralds in special times spent with family and friends. 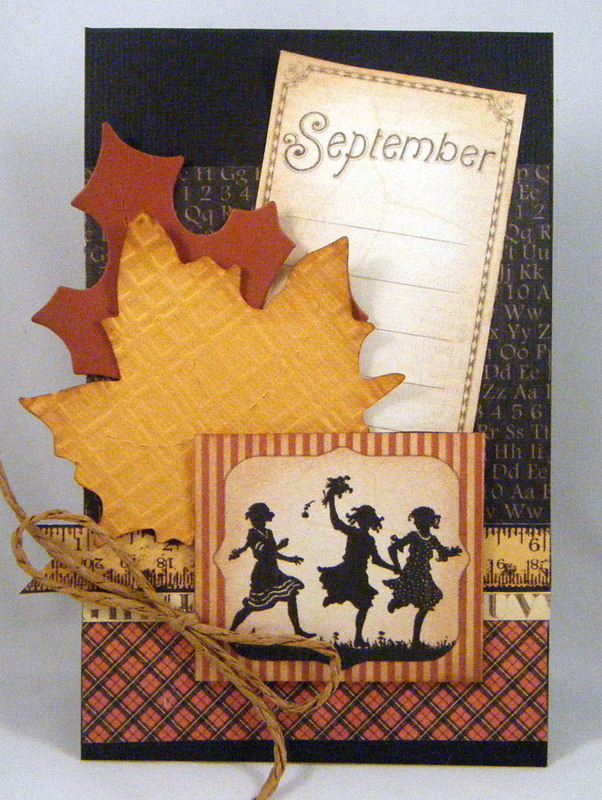 Here is the third card I made in the Graphic 45 September A Place in Time card class. The cards in this year long series have been so much fun to put together. At class I saw the cards for the next three classes and I can hardly wait until class time. Janet designs wonderful cards. That black base really sets off the colours in the design so well!